Each year in April the joint UK agents of Domaine Marquis d’Angerville get together with Guillaume d’Angerville in London and host a tasting and lunch for some key members of the wine press. My write-ups of the last two such events can be found here 2014s & 2013s. This year, unsurprisingly it was the turn of the 2015s. The event itself was very well organised by our friendly rivals in St.James (we take it in turns to avoid “too many cooks”) at The Lanesborough Hotel and specifically in The Westminster Room. Volnay 2015 – Quite full in colour (a striking part of these wines was the rich colours), nice damson and red berry fruit but with good structure. Volnay 1er Cru 2015 – Lovely violets to the nose, real lift, good depth on the back of that and a slight menthol note, the palate is a little drier and more serious than the nose maybe suggests but this is a pleasant surprise. Pommard 1er Cru Combes Dessus 2015 – A dash of almost purple to the colour here, richer, more sinister in its fruit type, darker, a little more brooding, masculine, more serious. Just what Pommard should be, impressive. Volnay 1er Cru Clos des Angles 2015 – Vibrant nose, some lovely saline character to the nose and initial palate. Some damson fruit and a lovely chalky texture to the tannins, love this. Volnay 1er Cru Fremiet 2015 – Redder in fruit, great drive here, almost raspberry and rhubarb to this. To balance this there is quite a broad structure, a little cranberry and good grip. One to watch. 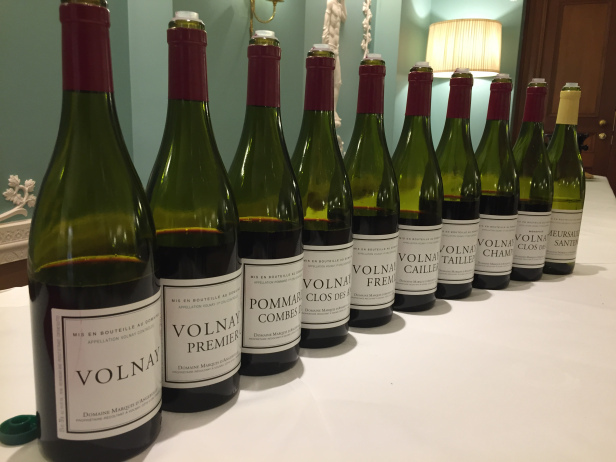 Volnay 1er Cru Caillerets 2015 – A shade lighter in colour than many of the others. Cool fruited nose, red fruits and a cool stoney note to the palate. A little more reserved than many others but very good and very “Volnay”. Volnay 1er Cru Taillepieds 2015 – Good mid-colour. A certain pungency to this but then a tautness too, difficult to describe, serious, quite brooding and masculine, a little uptight possibly. “The most masculine wine I make” to quote Guillaume from lunch later. Volnay 1er Cru Champans 2015 – I have a real thing about Champans. Gorgeous nose, darker fruits but that salty tang and a lovely breadth, so serious, so moreish, special this. Volnay 1er Cru Clos des Ducs 2015 – Quite airy, difficult to grasp, red fruits meet darker shades. A certain creaminess but then brooding power and seriousness. Without question a wine poised for ageing, moreish and fascinating. Meursault 1er Cru Santenots 2015 – It is always interesting when a producer has one wine from the other colour-camp. The Meursaults made by most of the top names in Volnay tend, as in this case, to be made with tender elegance the aim. This has a more opulent feel than usual but this is inside a gentle framework of little new oak. I like it very much, a nice contrast to the 2014 we had a little later (see below). Thoughts overall: This is clearly an exciting vintage. 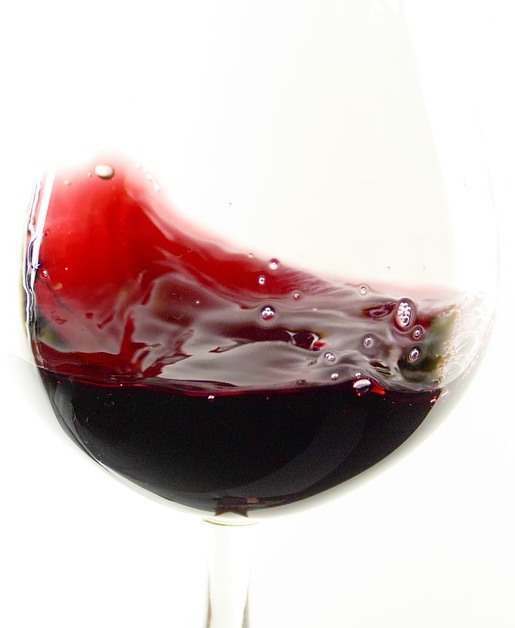 There is a richness and a fullness that makes it very different from most other vintages. I am trying to think of the right way to put it but these strike me as more “serious” than “pretty”. The differences between the Crus seems just as clear as ever so the vintage character hasn’t taken over but there is more density, more richness and possibly a less flirtatious edge at this stage. I often find at this tasting that I could just drink the wines now without it being a criminal waste to do so but in this instance I feel differently. In the best possible sense these are Vin de Garde Volnays. Post tasting it was time for lunch, a great chance to put into context the tasting that precedes it. It is a nice format this, not just pure tasting. The food worked well (especially the starter in my view!) but, more importantly the wine notes are below! Diebolt-Vallois Champagne, Cuvee Prestige, Grand Cru, Blanc de Blancs – totally new to me and a good drop, quite generous but with enough focus too. Meursault 1er Cru Santenots 2014 – Seriously good, so vinous, so saline, so intensely moreish and savoury but with fruit behind all that, would be a lovely finish to a meal as well as start, a Meursault with a touch of Chablis drive and energy. Volnay 1er Cru Taillepieds 2011 – Soft red fruit, a little cheesecloth from ageing, good energy, quite definite acidity and medium weight. Good and lovely from now on. Volnay 1er Cru Fremiet 2011 – More luscious to me with a little more sweetness, became broader with air, a really good surprise. Volnay 1er Cru Clos des Ducs 2011 – Moreishly airy, I think this will put on weight, very fresh now, a little closed. The fruit is red and soft, good acidity. Volnay 1er Cru Clos des Ducs 2005 – More rugged, in a positive sense, more intensity, some forest floor starting to show, almost a touch of nebbiolo-esque character, just moving into third gear. Every bit as exciting as it should be! For more Clos des Ducs notes please see this vertical. There was, amongst the rather topical political chat, an update from Guillaume on 2016 which has clearly been a very troubled vintage for all Burgundians from a weather perspective. Guillaume noted that there will be no Clos des Angles, No 1er Cru and that, positively, Taillpieds and Ducs were nearly normal. Alas only 10% of the “usual” Meursault was be made, so I imagine that wine will not even be released. An exciting day, this estate is clearly at Burgundies top table…Bravo!